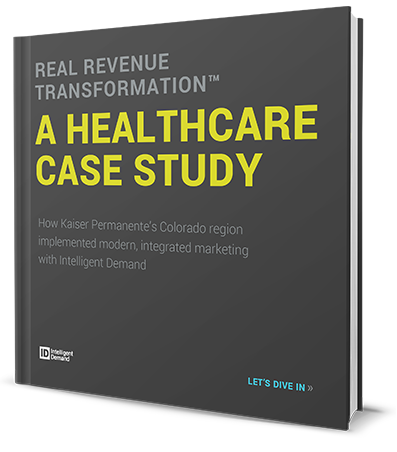 In this Healthcare Case Study, you will learn how Kaiser Permanente’s Colorado region implemented modern, integrated marketing with Intelligent Demand. We did it with our proven Real Revenue Transformation™ methodology. Find out how we collaborated to deliver impactful ROI across complex, rapidly-evolving B2B and B2C healthcare-buying environments. Fill out the short form below, and get your copy of this information-packed case study!